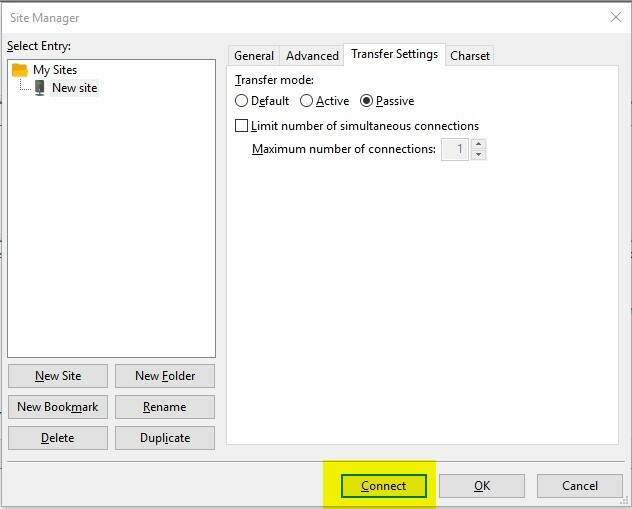 FileZilla is a powerful and free software for transferring files over the Internet. It is a very popular FTP client and is used by Webmasters from all over the world. 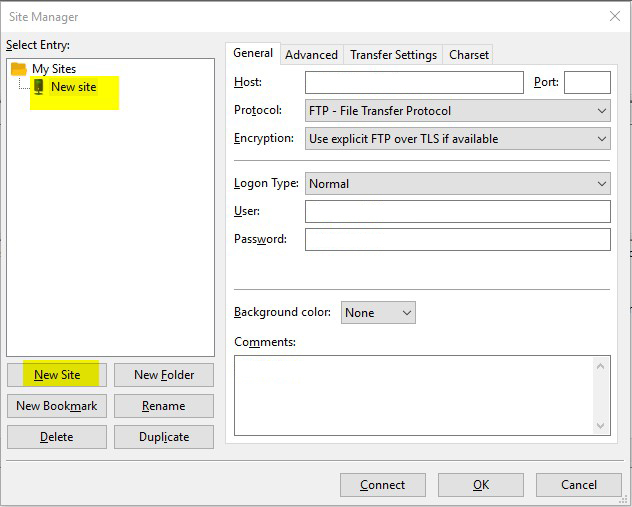 FileZilla Client is a fast and reliable cross-platform FTP, FTPS and SFTP client with lots of useful features and an intuitive graphical user interface. 2. Click the File menu, then click Site Manager. 3. The Site Manager screen will display any existing connections you have set up. Click the New Site button and type a name to help you identify your FTP connection. Protocol: From the drop down menu, select FTP – File Transfer Protocol. Encryption: From the drop down menu, select Require Explicit FTP over TLS. User: Enter your FTP account username. If you are using your master FTP account, this will be your domain name. 6. Enter “public_html” in the Default remote directory text box. 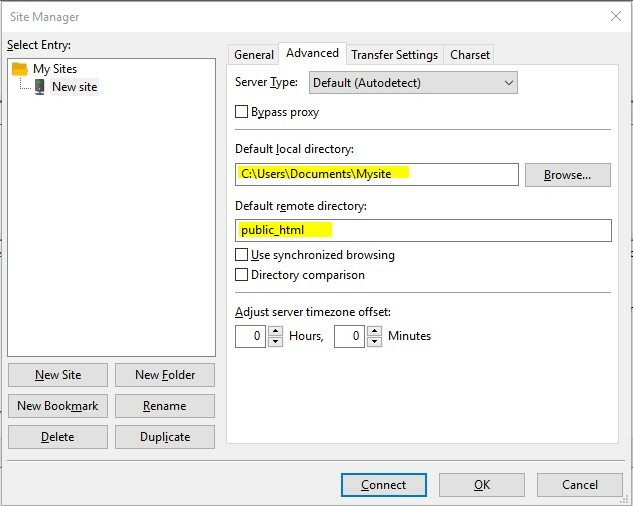 This will ensure that FileZilla connects to the folder that contains your live website. 7. 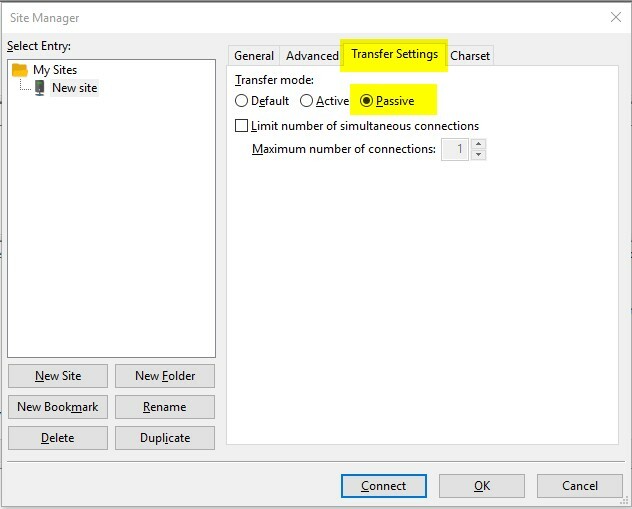 Click on the Transfer Settings tab and select Passive. 8. Click Connect. You can drag files from the Local Site pane, on the left hand side, to the Remote Site pane on the right, to upload them. Congratulations! 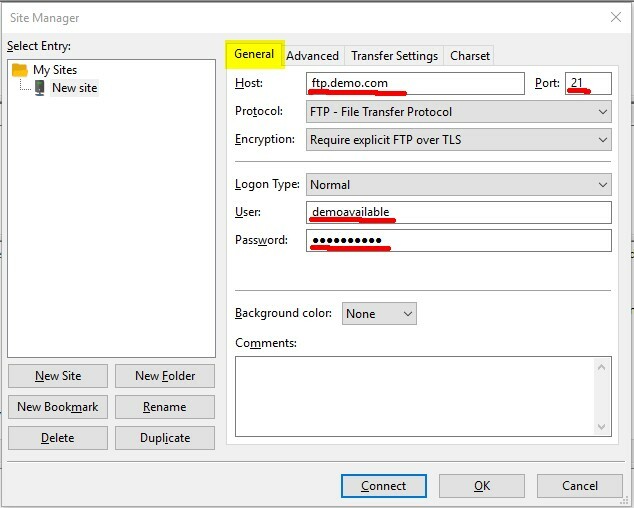 You have successfully uploaded your Website using an FTP client – FileZilla.